The B-side to Peter Sarstedt's song The Far Pavilions was entitled Juli's Theme composed by Jerry Lanning. Originally, singer Peter Sarstedt was due to write two songs based on the novel but somehow he never got around to writing the second one and so conductor/arranger Jerry Lanning was asked by producer Tim Hollier to compose some music for use on the B-side. 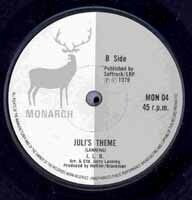 Despite the short gestation period, author M M Kaye seems to have been pleased with the end result as she included Juli’s Theme as one of her eight selections of music when she appeared on BBC Radio 4’s Desert Island Discs. Desert Island Discs was Broadcast on BBC’s Radio 4 at 6:25 pm on 31 December 1983 and was presented by Roy Plumley. Jerry Lanning studied at Southampton University and the Guildhall School of Music in London. Initially he worked a good deal in the theatre as an arranger and musical director. Even from school days he has been constantly arranging music in all styles, both from necessity and curiosity. 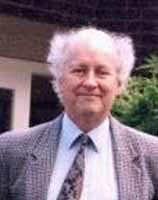 He has several hundred publications in print, many with an educational slant, eg the CLASSIC EXPERIENCE series for Cramer and the MAKING THE GRADE series for Chester. His commercial work has been mainly popular in nature, and for a time he arranged for and conducted the late lamented BBC Radio Orchestra and also recorded for Readers' Digest. He teaches part-time at Bradfield College and is a busy freelance arranger, working mainly for the Music Sales Group, International Music Publications, Warner Bros. and Cramer/Middle Eight Music. He also conducts.